Do you find yourself at the end of the day, lying in bed and just not being able to fall asleep? Or are you constantly waking up in the middle of the night? It can be frustrating, because we know that we need sleep to rest our bodies and minds. If you are looking to help improve the quality of your sleep, ReDormin Forte may be right for you. Food for thought: Did you know that 1 in 3 people have trouble sleeping? Find out more about how our dual action formula of Valerian and Hops can help to improve your quality of sleep. Adults and adolescents 12 years and over: Take 1 tablet, 1 hour before planned bedtime. Always read the label and follow directions for use. If symptoms persist talk to your health professional. Valeriana officinalis root 2.50 g.
Humulus lupulus flower 720 mg.
What makes ReDormin Forte different? Backed by 10 years of clinical research, ReDormin Forte contains a specific combination of herbal extracts known as Ze 91019 that has been shown to help restore healthy sleep patterns within 2 weeks. Recommended for over 20 years worldwide, ReDormin Forte’s dual action formula works by helping to reduce the time taken to fall asleep, and can help to re-establish healthy sleeping rhythms to help improve quality of sleep and the time spent in the deeper, restorative sleep stages – leaving you to wake up feeling refreshed. Not all natural medicines are created equally, that’s why we take special care that the combination, Ze 91019, found in ReDormin Forte is the same medicine that has been tested in clinical studies. We want to ensure you receive the same high quality medicine that has been clinically researched to help restore healthy sleep patterns and to help get your sleep cycle back on track. How long do I take ReDormin Forte for? 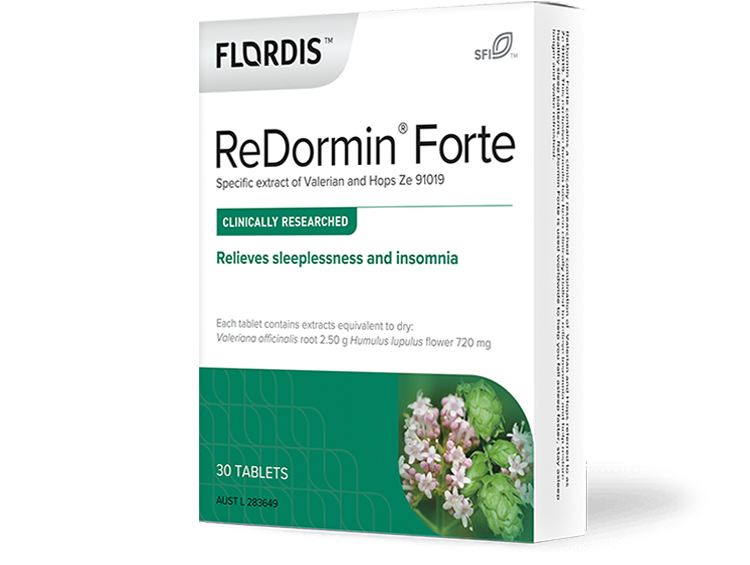 For best results take ReDormin Forte for at least 2 weeks to help improve sleep quality and restore healthy sleep patterns. Research showed that 87% of patients reported sustained sleep benefits 4 weeks after they finished a 2 week course of ReDormin Forte.1 However, should you find your sleep disrupted again due to stress or lifestyle factors, you may wish to take ReDormin Forte to help re-establish healthy sleep patterns. Does ReDormin Forte have any allergens? Is ReDormin Forte likely to interact with any other medications? There are no known reported interactions between ReDormin Forte and other medications. However, it is not recommended to take ReDormin Forte if you are currently taking sedative medication (such as Benzodiazepines). It is recommended to talk to your healthcare professional if you have any concerns about interactions or questions about using ReDormin Forte. Can ReDormin Forte be given to children and adolescents? ReDormin Forte may be used in children over 12 years of age. The recommended dosage is 1 tablet 1 hour before bed. If you have specific questions or concerns, it is important to speak with a healthcare professional. Is ReDormin Forte suitable for vegans? Yes, ReDormin Forte is vegan friendly as it contains no animal-derived ingredients. Can ReDormin Forte be taken during pregnancy and breastfeeding? ReDormin Forte is not recommended during pregnancy or breastfeeding as there are no published studies to establish its safe use during pregnancy or while breastfeeding. Your healthcare professional can discuss with you the risks and benefits involved in taking ReDormin Forte during these life stages. Should ReDormin Forte be stopped before surgery? Where can I find ReDormin Forte? ReDormin Forte is available from pharmacies, health food stores and natural health practitioners. If you go to the Where to buy button above and follow the instructions, you will be able to find a list of pharmacies, health food stores and natural health practitioners in your area that either stock ReDormin Forte or will know how to order ReDormin Forte. Even if your local pharmacy is not on the list, they will be able to order it in for you. Fussel A, et al., Eur J Med Res. 2000;5:385-390. Koetter U, et al., Phytopher Res. 2007;21:847-851. Lataster MJ, et al., Notabene Medici. 1996;4:182-185. Morin CM, et al., Sleep 2005;28(11):1307-1313. Dr. Morin has received research support and consulting fees from Sanofi-Aventis, Takeda, Pfizer, Neurocrine, and Sepracor. ReDormin® Forte is a registered trademark of Max Zeller Söhne AG. Modern lighting is helpful in so many ways, but our bodies are not perfectly wired for our artificially bright world. 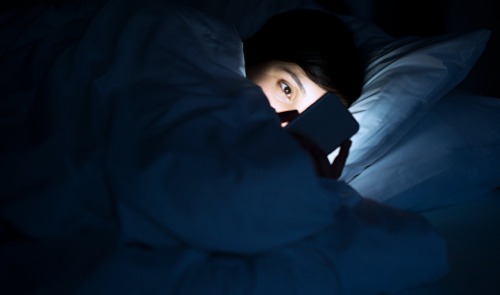 Find out more about why too much light can make you lie awake at night.